Pedestrians crossing a bridge over London’s River Thames are silhouetted against a moody afternoon sky, as construction cranes loom on the horizon. 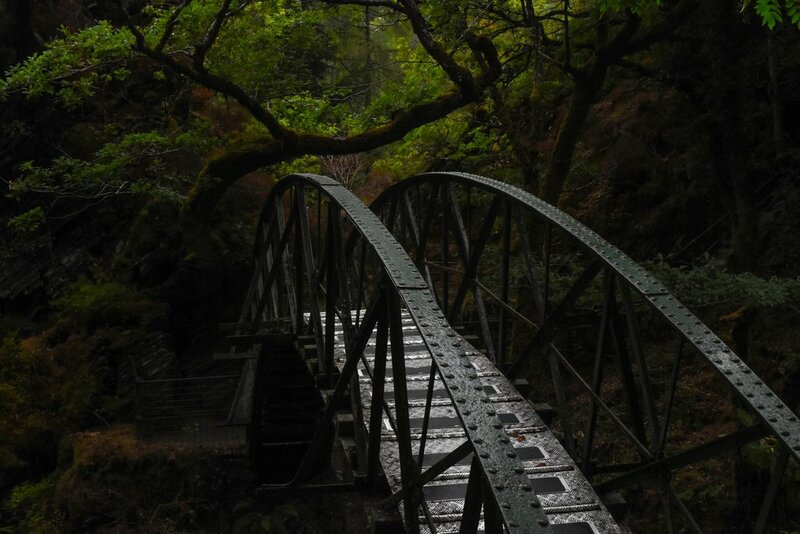 A metal footbridge spans the Afon Mynach river along the Devils Bridge Nature Trail in Ceredigion, Wales. 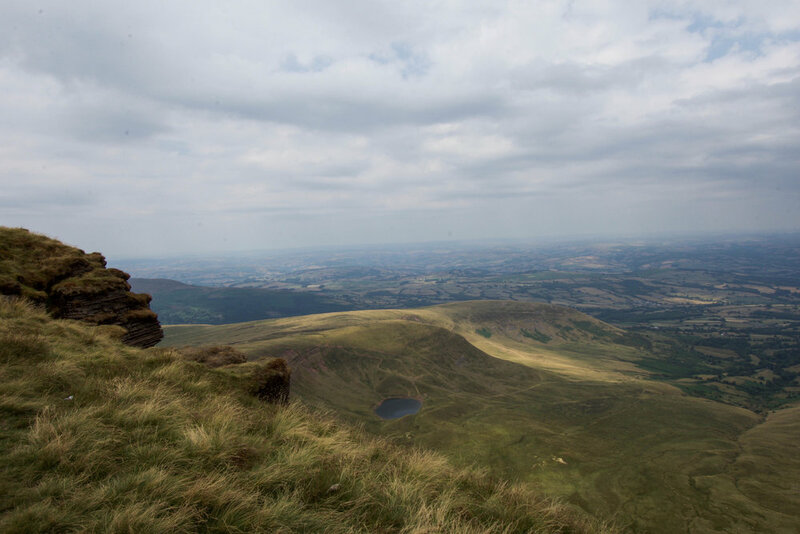 A view of the expansive green plains of Brecon Beacons National Park from atop Pen Y Fan, the tallest peak in the pastoral region of South Wales. 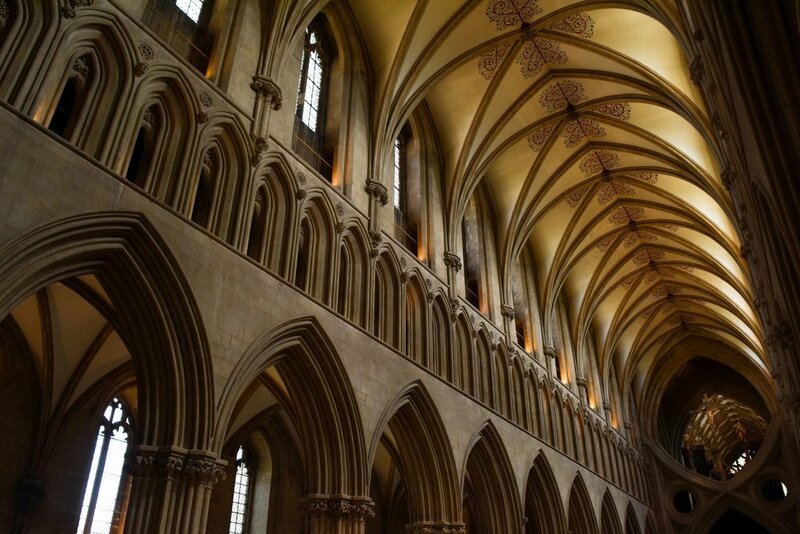 Wells Cathedral in Somerset, England, features vaulted ceilings and a distinctive structure of scissor-like supporting arches, seen in the photo’s lower right corner. 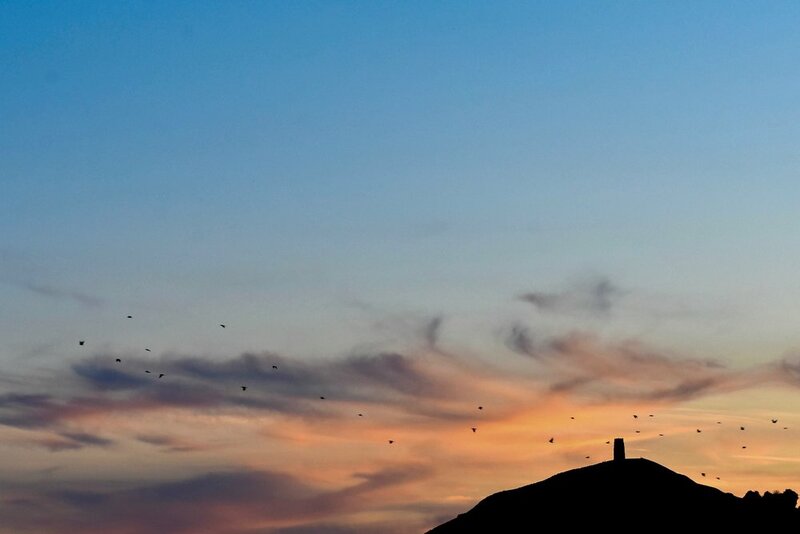 The Glastonbury Tor, an important spiritual site in Christianity, Celtic mythology, and new-age Goddess Worship, is silhouetted against the vibrant evening sky. 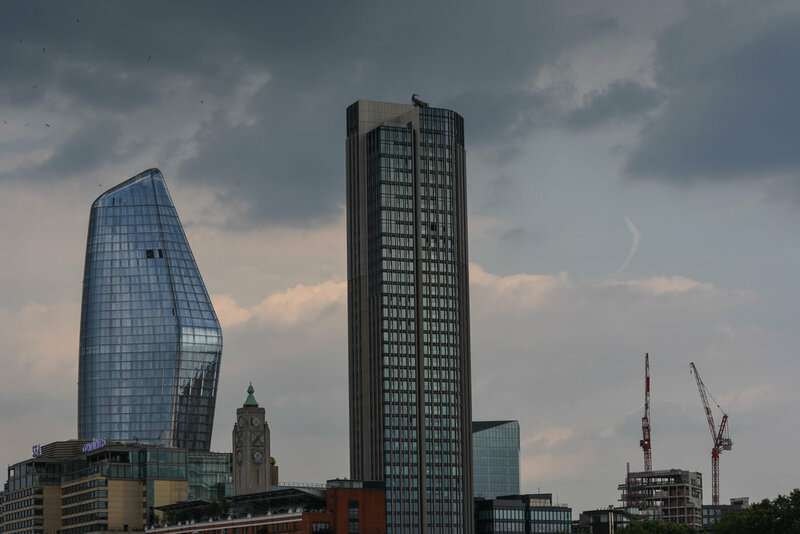 Seen on the left side of the photograph, London’s One Blackfriars Building, colloquially known as “The Boomerang,” epitomizes the ultra-modern style of the new structures transforming the city’s skyline. 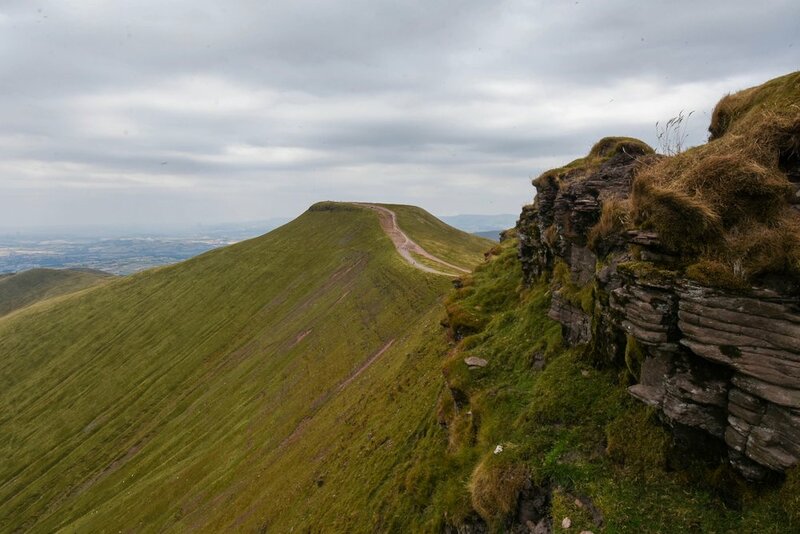 A rocky outcrop atop the emerald slopes of Brecon Beacons. 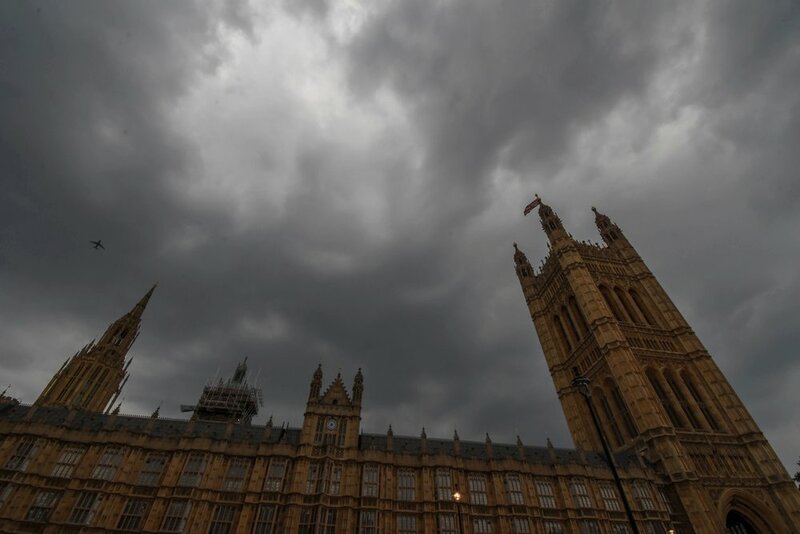 The Palace of Westminster, home of the UK’s houses of Parliament, is set against an overcast evening sky. 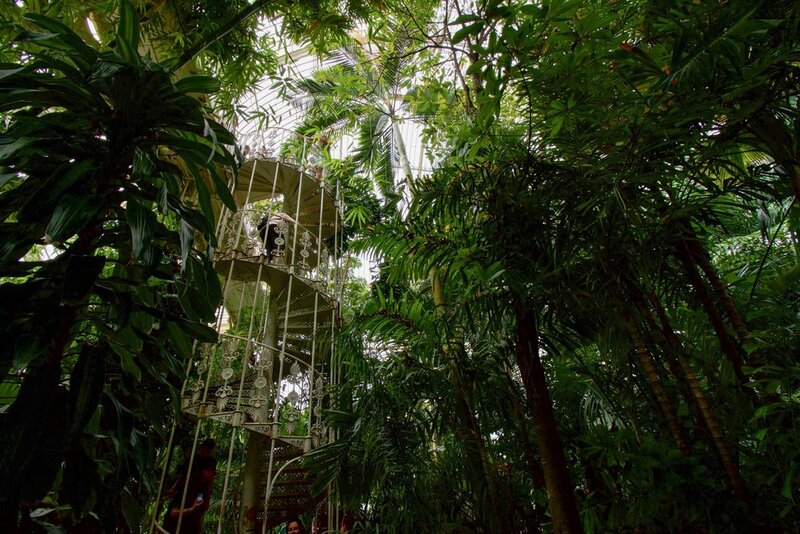 Kew Gardens’ Palm House, a victorian glasshouse containing lush tropical greenery, remained vibrant in the midst of a record-breaking heat wave that dried out plants throughout the UK during my visit in July. 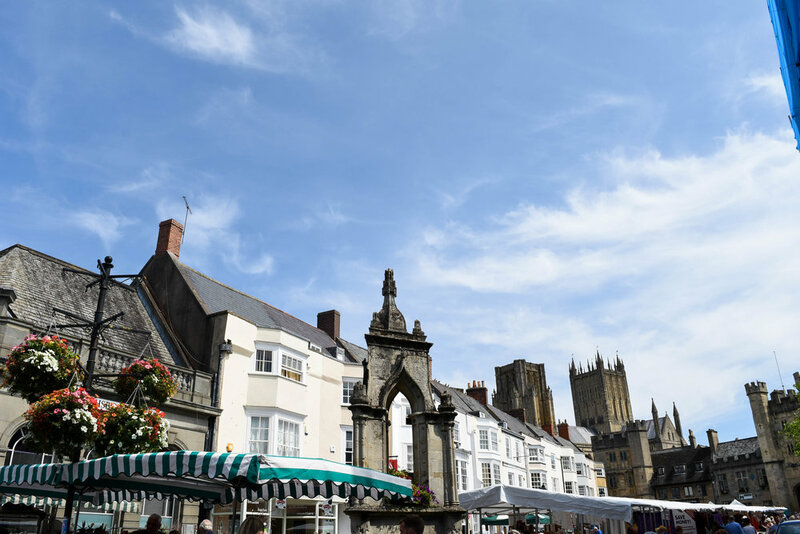 Market Day in the cathedral city of Wells in Somerset, England.